We are providing an extensive range of Duct Cutter, which are available in varied specifications that meet on customer’s demand. We are offering PVC Duct Cutter to our clients. 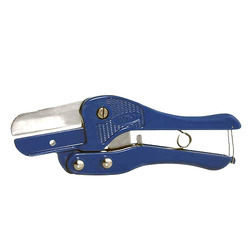 These cutters were developed for cutting cable ducts and plastic moulding. The easy cutting effect is achieved by a special cutting geometry. We introduce “RCI-I Duct Cutter as an additional accessory to our range of products. As a user, you always need the duct to be cut to a required length. The “RCI-I Duct Cutter is handy and very easy to use for cutting the PVC duct in the required length with minimal effort.